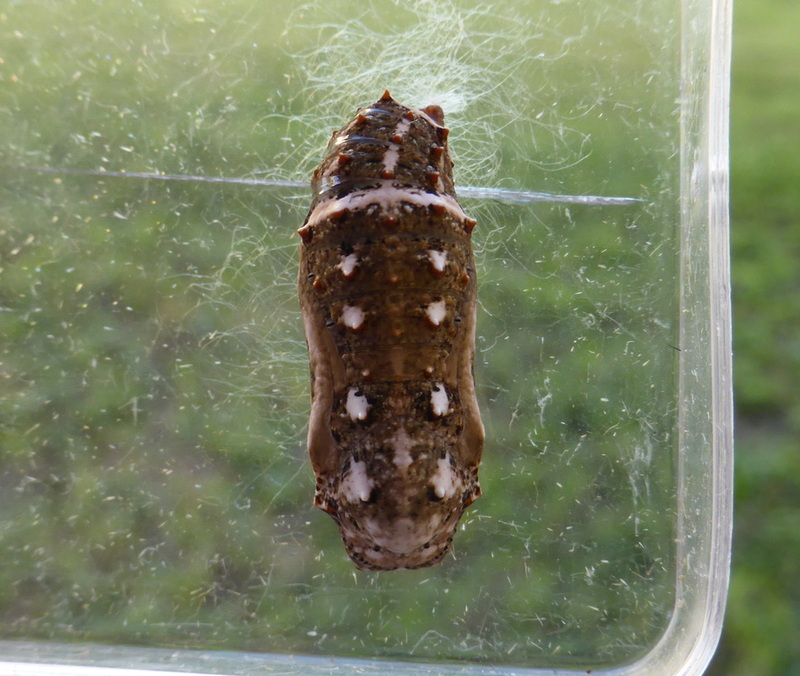 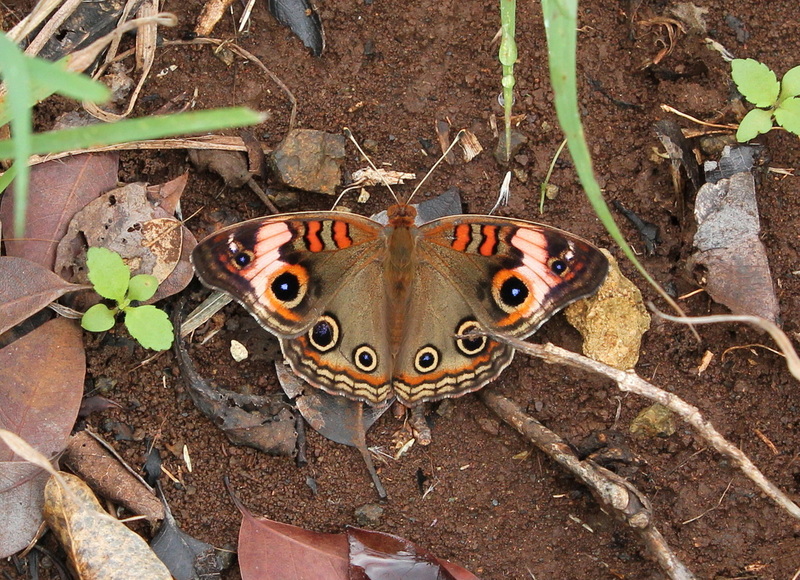 Description and Similar Species: Wingspan 50-66mm. 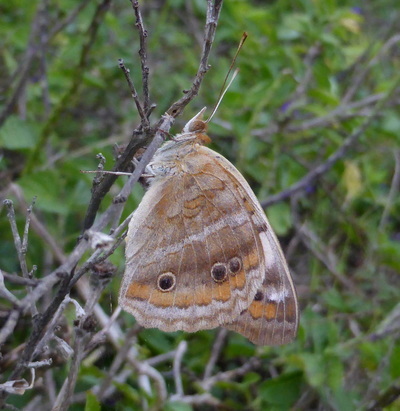 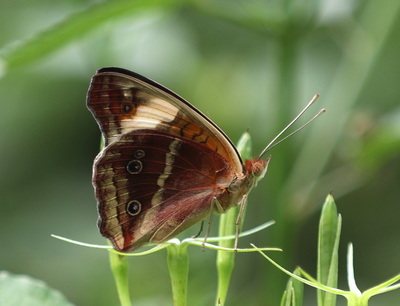 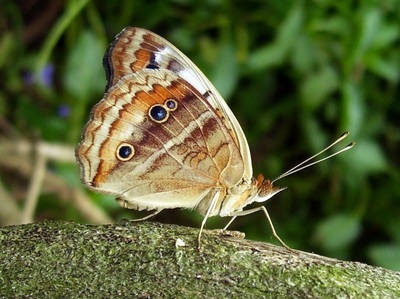 The three species of Junonia are quite similar and there has been (and still is) considerable confusion due to the different criteria given in different publications and websites of the distinguishing features. 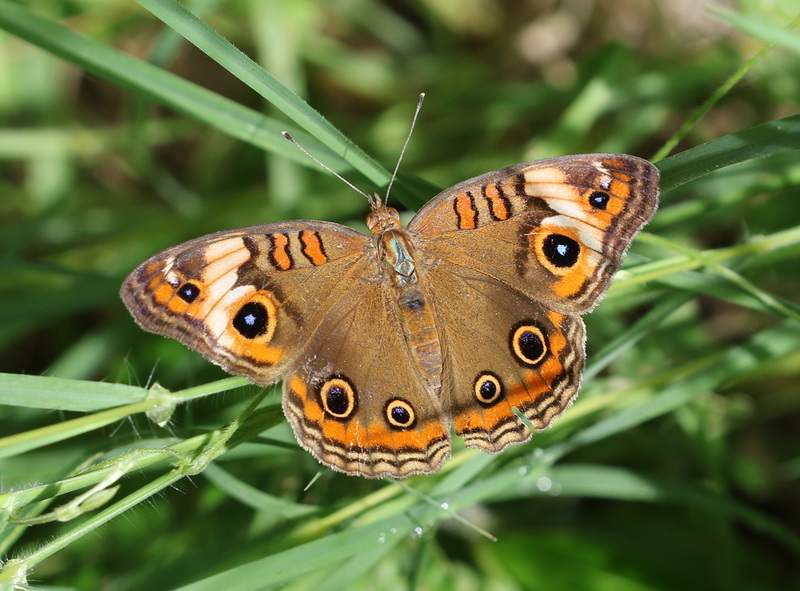 Melanie Lalonde (University of Manitoba) has however recently clarified the taxonomy of the Junonia species in North America in her MSc thesis (Lalonde, M. M. L. 2016) using molecular and morphological data. 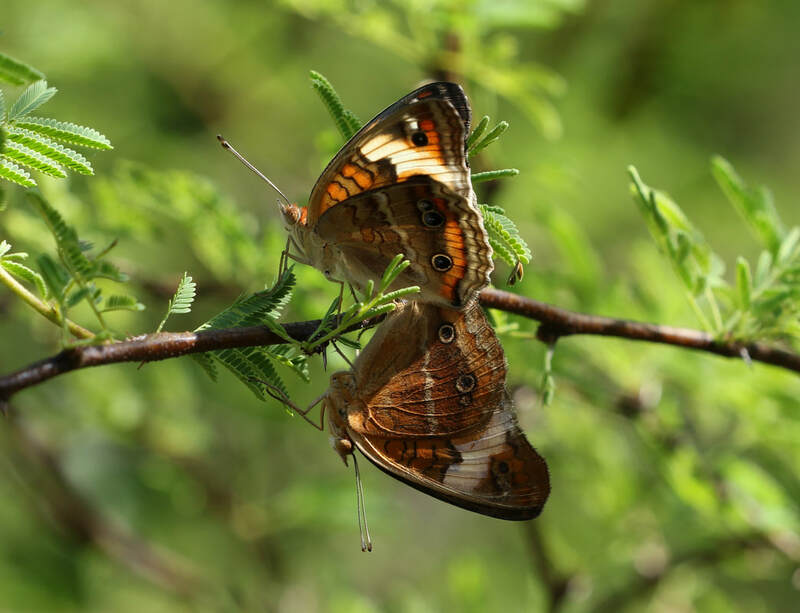 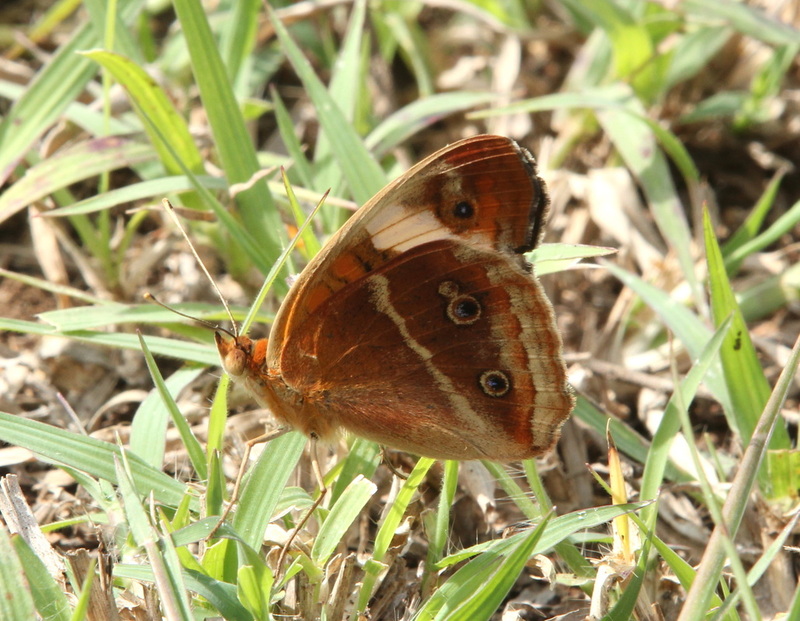 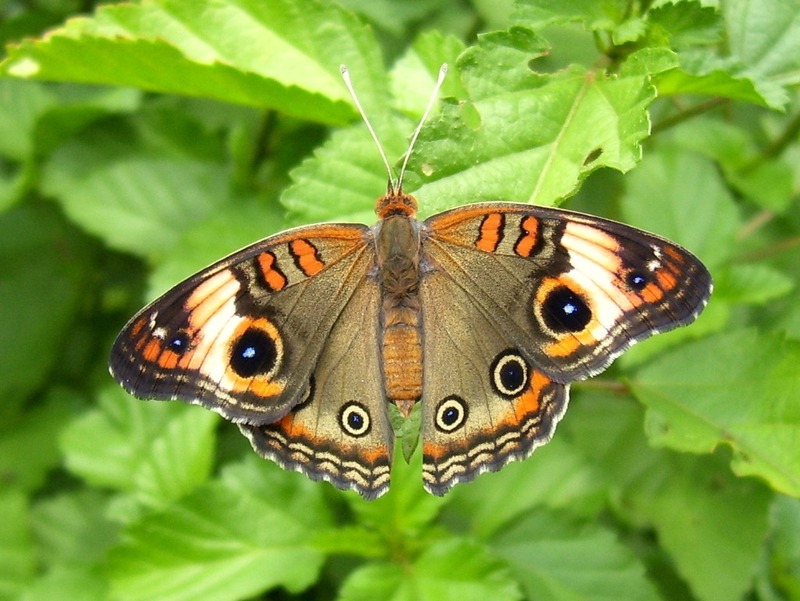 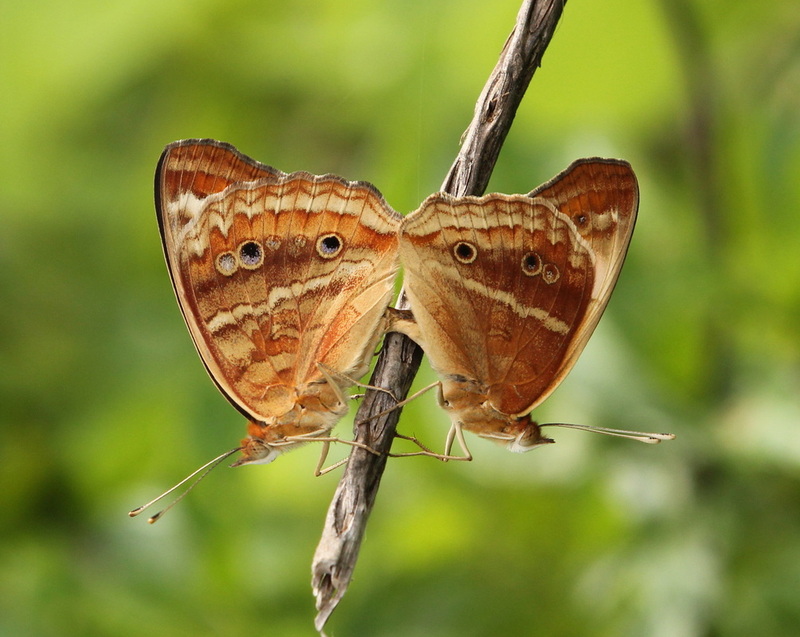 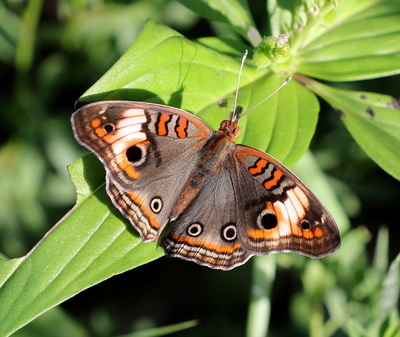 Tropical Buckeye has been reassigned as Junonia zonalis, and Mangrove Buckeye has been reassigned as Junonia neildi. In Cuba distinguishing the three Junonia species is actually quite simple. 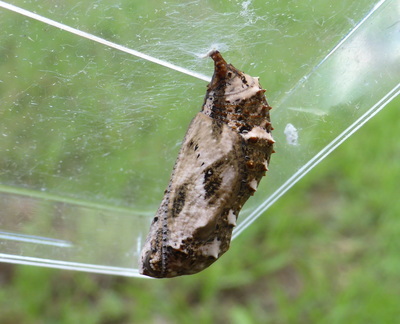 Only Common Buckeye J. coenia and Tropical Buckeye J. zonalis have a broad creamy-white post-median band across the forewing which shows clearly both when settled and in flight. On J. coenia the inner edge of the large fore-wing eyespot is also creamy-white whereas in J. zonalis this is a narrow orange/brown band. Range: Florida, Central America and the West Indies. 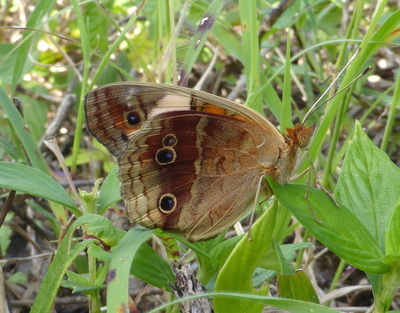 Status: This is the predominant Junonia species throughout Cuba and is widespread and common in open areas. 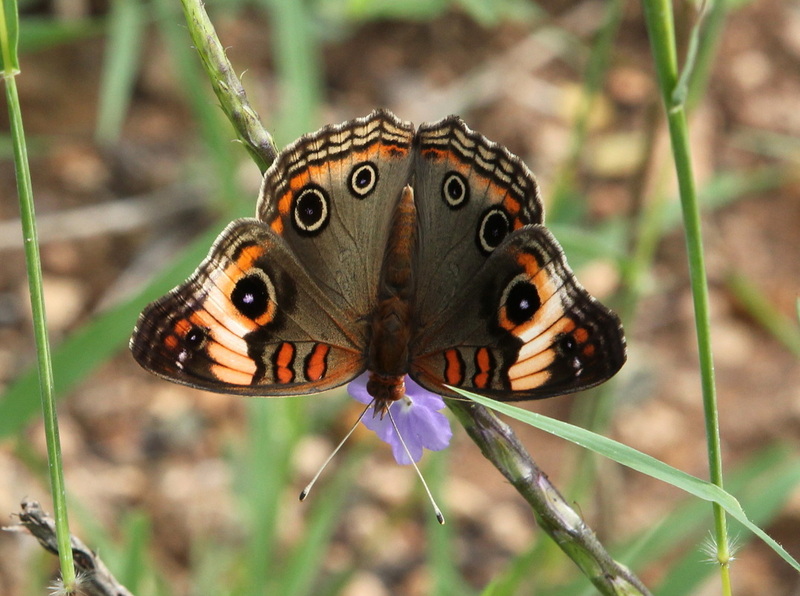 Nectar Plants: Stachytarpheta jamaicensis, Melochia nodiflora, Lantana, Tournefortia. 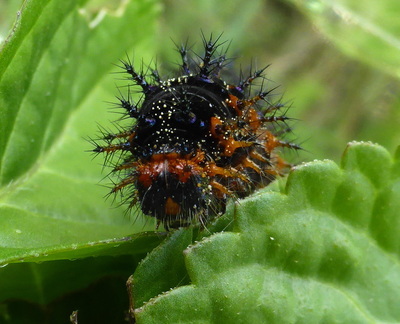 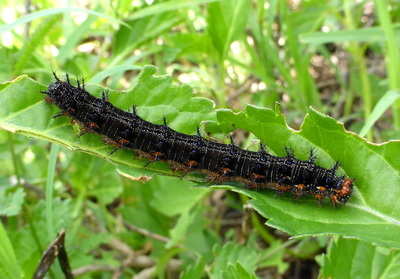 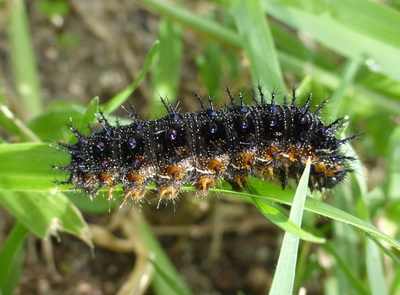 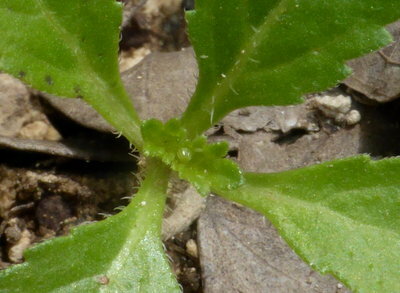 Larval Foodplants: A wide range of plants including Stachytarpheta jamaicensis.